If you have a cat in your household, then you know how much they can be demanding once they get hungry. Most owners are woken up every morning by their feline prancing all over their bed and meowing because it is a new day and they need their breakfast. How many times were you woken up this way? Stumbling around your home with half-shut eyes you have to give your feline its food before even brushing your teeth or washing your face. We all know that felines are strange little creatures, but they can be hard to deal with once they get hungry. Today, we will talk about the Cat Mate C50 and all the benefits it has to offer. If you spend most of your day outside, your pet will be grateful if you decide to switch her old food bowl with a new feeder. Before we get into the details, we need to talk about these robot feeders in general. Probably the most important benefit of using one is that your cat won’t associate you with her food. This is important because every time she gets hungry, she expresses it by meowing non-stop under your feet. Also, you won’t have to get up at 6 AM to refill your feline’s bowl. Soon, she will stop perceiving you as a strange creature that brings her food anytime she demands it, and you will have more time to do other things such as sleeping for at least half hour longer every morning. Another great thing about these machines is that they work all the time. It doesn’t matter whether you are home or working, your pet will enjoy the food dispensed by the automatic feeder. Now that we know a bit more about how they work, let’s talk about the Cat Mate C50. This is a popular choice among owners who are seeking the perfect automatic food dispenser. Concept and design are fairly simple and easy to get a grasp on. There are five food trays which can be filled with your feline’s favorite food or five different foods, it is entirely up to you. The first tray your pet will have access to instantly, and the other four will be available later during the day. You can fill the trays with either moist or dry food. There is a minimum of 4 hours between tray rotations, and it can be programmed to dispense food over 90 hours. It is completely customizable, thanks to the analog timer. That means that you can program it however you like. If you are worried that Cat Mate C50 will be too much trouble to set up, operate, or maintain, you will be glad to hear that the entire process of setting it up is very easy. There are no sophisticated modern buttons or codes you have to input into it. The only thing you need to do is fill the trays with the food of your choice and then rotate the lid. Just remember to rotate it counter-clockwise. As the time passes, the timer will count down the time to the next meal. Once the countdown is over, a catch will be released, and the lid will rotate clockwise revealing the next food tray. It is as simple as it sounds. The only thing you have to make sure is that the dial is rotated and that the button is turned on. 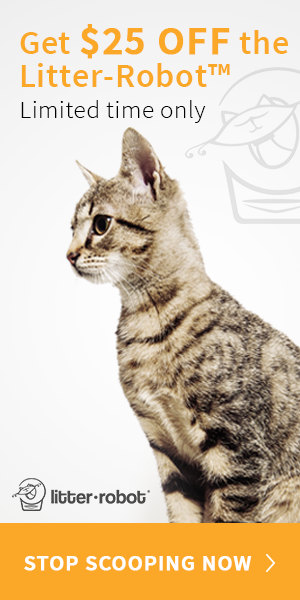 Just like every other product ever made, Cat Mate C50 has its own pros and cons. It is important to know what to expect from a product before you buy it. So, to make sure that you are aware of all the good things as well as the not so good things. We have decided to list all the pros and cons to help you become more informed. So to conclude, we could say that this is a great machine for both felines and small dogs, but it is best used by calm and docile felines since smart cats and food-obsessed felines could find a way to break into it and eat all the food (the horror!). The best thing you can do is to test Cat Mate C50 during the weekend or while somebody is home to see how your feline will react to it and to see whether it is working properly.